Vista Del Mar offers a continuum of exceptional intensive treatment intervention programs for children and adolescents including residential treatment, Wraparound Services, and Intensive Treatment Foster Care. Our residential treatment programs are for youth ages 12-18 whose emotional and behavioral difficulties are impeding their ability to succeed in their current setting. We provide an individualized, holistic treatment approach where psychological, spiritual, social, and educational needs are assessed and addressed through a relationship model focused on engaging youth in a validating, supportive, and nonjudgmental manner. We implement a Dialectical Behavioral Therapy (DBT) based approach which is a cognitive behavioral treatment intervention assisting youth with managing their behaviors. We offer an open residential unit along with a locked Community Treatment Facility. Through our therapeutic approach, teens are assisted with identifying effective solutions for their problems which enable them to safely and successfully return to their families, schools, and community. Please see brochure for additional information. Intensive Treatment Foster Care (ITFC) was created for youth in the foster system who have a greater need for therapeutic and social work services due to heightened emotional or behavioral issues. The program serves as an alternative to institutional care by assisting children and youth in a home setting. Along with Vista’s team of social workers, therapists, and in-home support staff, ITFC Foster Parents play a vital role in the child’s treatment. ITFC Foster Parents participate in monthly meetings, home visits, and receive a monthly reimbursement of $2200 a month (tax free). “Connections” is our Wraparound Program that serves high risk youth in Los Angeles County who are referred directly by the Departments of Children and Family Services and Probation. Wraparound provides a planning process, therapeutic and creative support, and intervention services to help youth live successfully with their family. The program serves about 130 youth and their families each year and successfully graduates 70% referred from the program. The Vista Wraparound team is made up of a Family Facilitator, Clinician, Parent Partner, and Youth Worker, and they join the family to develop the right plan for each youth. The Multidisciplinary Assessment Team (MAT) is an assessment and linkage program of children legally detained by the Department of Children and Family Services (DCFS) due to issues of abuse and/or neglect. MAT is funded by the Department of Mental Health and provides an in-depth psychosocial and mental health assessment that identifies needs, strengths, resources, and barriers in the child and family’s life. A conference is then held with all of the people in that child’s life followed by linkage services to address the areas of need. 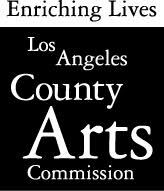 The Therapeutic Music Program at Vista’s Intensive Treatment Residential Facilities is supported, in part, by the Los Angeles County Board of Supervisors through the Los Angeles County Arts Commission. The Los Angeles Training Consortium (LATC) is a partnership of five Wraparound agencies in Los Angeles County that assures high quality training in Wraparound care for the workforce. The five-day basic curriculum course is offered on a monthly basis and includes optional intermediate and advanced training in the values, principles, and skills of Wraparound. Intensive Field Capable Clinical Services (IFCCS) is a very specialized program for DCFS foster children who are experiencing multiple hospitalizations and a high degree of instability. The program is funded by the Department of Mental Health and serves 10 children at any one time.